Have you touted yet? If you haven’t touted, you have to try it. Here is a chance to capture your 15 seconds of fame. 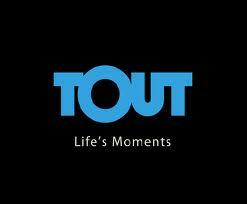 There is a new app called “Tout” that allows you to record and share 15 seconds of video via email, Facebook, Twitter or Pinterest. You don’t have to upload to YouTube. Just record and send. You can send a quick video message to the grandkids, share a quick video of yourself on your next trip or record your grandson’s first homerun.All videos can be saved on any device and shared with family and friends. You can also view other members’ videos, including celebrities and interviews. If it is posted, you can view it. This entry was posted in digital, senior lifestyle, tech and tagged 15 seconds of fame, Tout by loiswhitman. Bookmark the permalink.